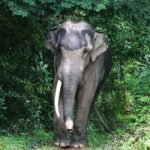 This elephant tour near Chiang Mai was established in July 2018. 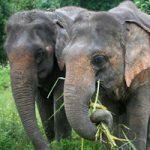 The project is run by a Karen family and provides a home in stunning natural surroundings to an elephant family, including a mother, her baby and older daughter. These elephants now enjoy living in a small herd and share the responsibility of caring for the baby while wandering in the jungle, foraging, and playing in the cascading stream that winds its way through the valley. As part of a small group, you will have the opportunity to dress in traditional Karen clothing and feed the elephants, before embarking on a 1 hour hike with the elephants through the jungle along mountain trails. 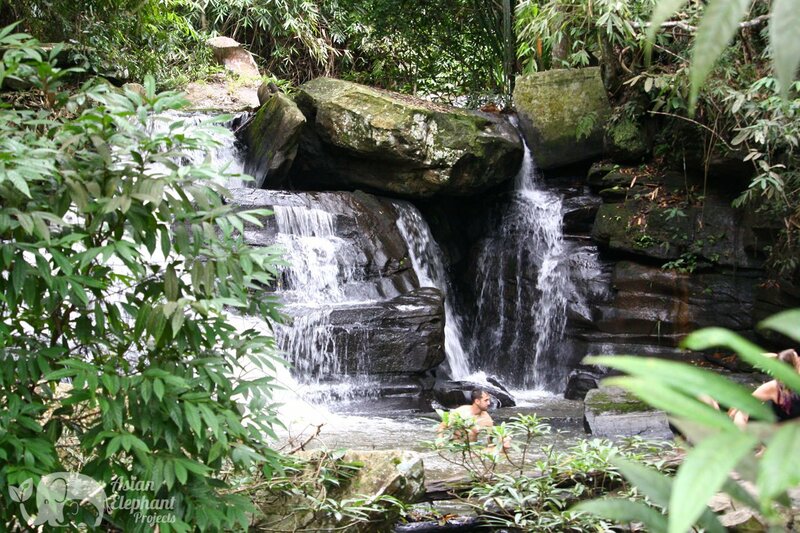 Following your walk, cool off in a tiered stream with the elephants and watch them frolic in the water together. After their swim, the elephants often like to play in the mud or give themselves a dust bath. Start: 7:30am – 8:00am minivan pick up from your Chiang Mai city hotel, or from our office at 7:20am. If staying out of town (outside the middle ring-road) additional charges apply. Please advise on your reservation form. Return: Arrive back in Chiang Mai city 2:00pm – 2:30pm. Age Suitability: Adults and children over 7 years old – guests under 18 must be accompanied by an adult. Fitness Level: Moderate – walk through the forest along mountain paths with some steep sections which can become slippery in the rainy season. 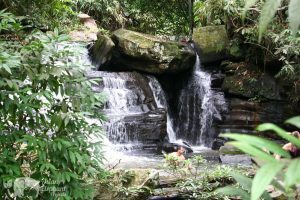 Topography: Jungle, hills, stream & waterfall. Location: Mae Wang, Chiang Mai, Northern Thailand.Nearest Airport: Chiang Mai (CNX) – we recommend you stay in Chiang Mai city the night before your visit. Please note that we cannot collect you from Chiang Mai Airport – only from your Chiang Mai city hotel. 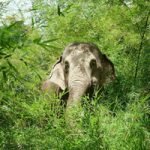 This recently opened project is owned by Pang, and managed with the help of her Karen family who have a long tradition of living and working with elephants. Pang grew up around elephants in Mae Chaem and they have always played an important part in her life. 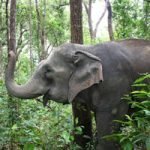 The mahouts that care for the elephants are also from Mae Chaem. 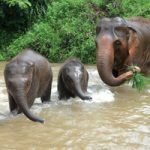 The family have embraced our ‘Saddle Off’ model and are happy to see that visitors are content to observe elephants in natural surroundings and take part in elephant-friendly activities such as feeding them and walking with them in the forest. 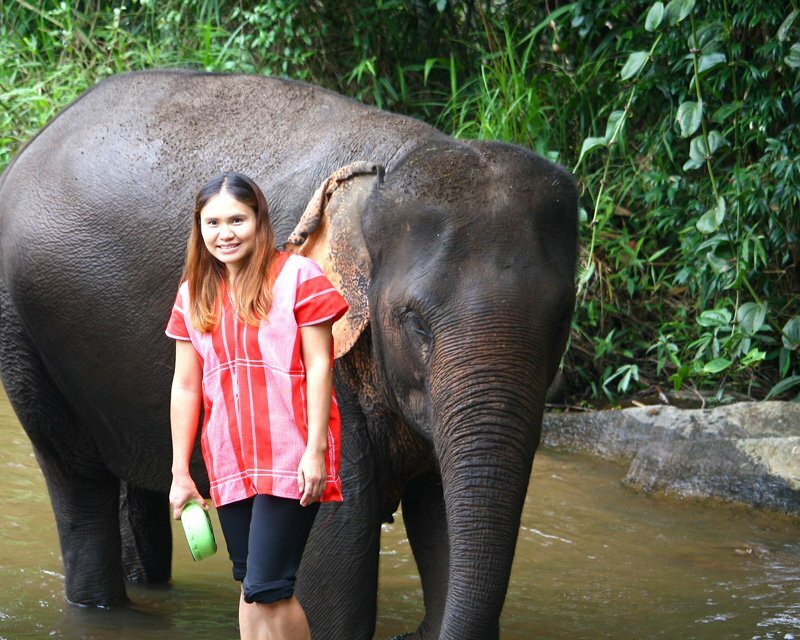 Pang enjoys providing guests who appreciate elephants with an experience that they will never forget. 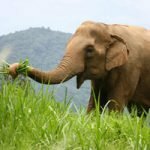 The family grows bananas, sugarcane, pumpkin, and grass to provide for the elephants and supports the local community by buying bananas from farmers and employing people from the village. Since their retirement from elephant riding and as a result of being able to interact as a family group, the elephants have gained weight, become more spontaneous, playful and at ease.